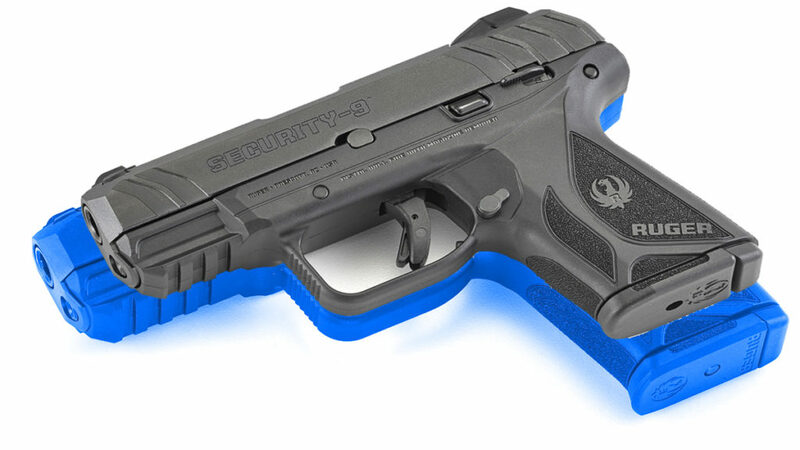 The new Security 9 compact is a smaller version of the favored Security 9. This is the author’s approximation of the two weapons overlayed, with the full-size in blue. As we draw closer to NRA’s annual meeting in two weeks, Ruger has announced another new weapon, and it’s a welcome addition to their pistol lineup: The Security 9 compact, Model 3818. It’s chambered in 9mm and comes with two 10-round magazines, but it’ll take the 15-round mags from the larger full-size gun, and it comes with one finger grip extension floorplate for one of the mags. 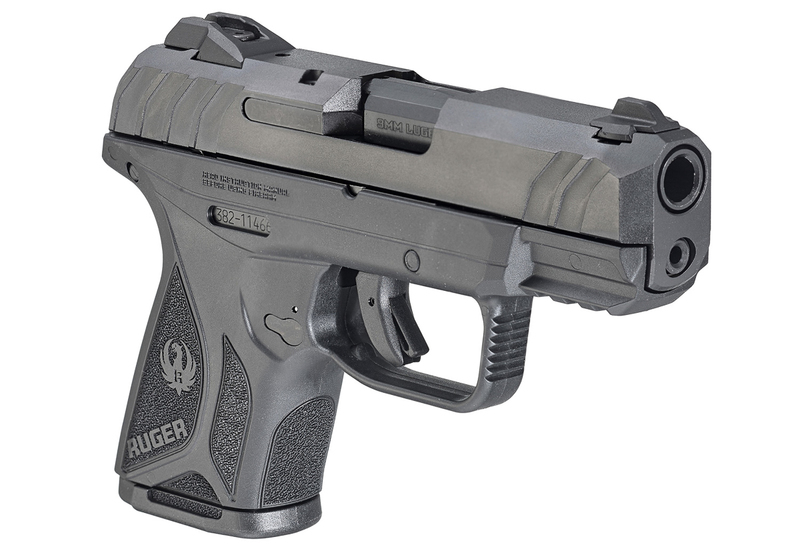 The compact is a little smaller and a little lighter, but otherwise, it’s the same gun everyone loves — Ruger practically copied and pasted the description from the full-size. The compact comes with two 10-round mags, but it’ll take the 15-round mags from the full-size gun, too. The 3.42″ barrel and the slide are through-hardened and blued alloy steel. The chassis is hard-coat anodized aluminum, while the grip frame is glass-filled nylon for rigidity and strength. It’s just 6.52″ long overall, and 4.35″ tall. At 1.02″ wide, the slide is the same width as the full-size Security 9. The reductions in height and length shave off about 1.9 ounces and leave it at 21.9 ounces dry. It’s very similarly sized to a Glock 26, but at a lower price (MSRP $379). At 6.52″ long and 3.42″ tall, it’s nearly 3/4″ shorter front to back and more than 1/2″ shorter from top to bottom than the full frame. The hammer-fired Secure Action is the same as the Security 9 and the LCP II. Ruger boasts it’s a super smooth and crisp single action trigger, just like the LCP II and big Security 9. It’s got a trigger safety as well as a manual safety on the left side of the frame. The sights are adjustable for windage. It’s not approved for California or Massachusetts. MSRP, as mentioned, is $379. All you who own the full-size Security 9 can let us know how you like it in the comments. 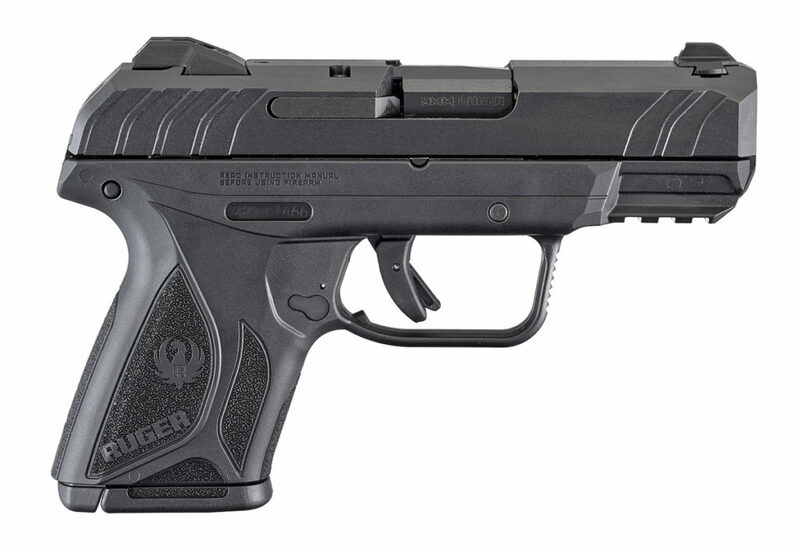 We’ll have more details for you soon, but in the meantime, you can check it out at Ruger.com. The hammer-fired Secure Action is the same as the Security 9 and the LCP II. It’s hammer fired and has a trigger safety, as well as a frame-mounted manual safety. 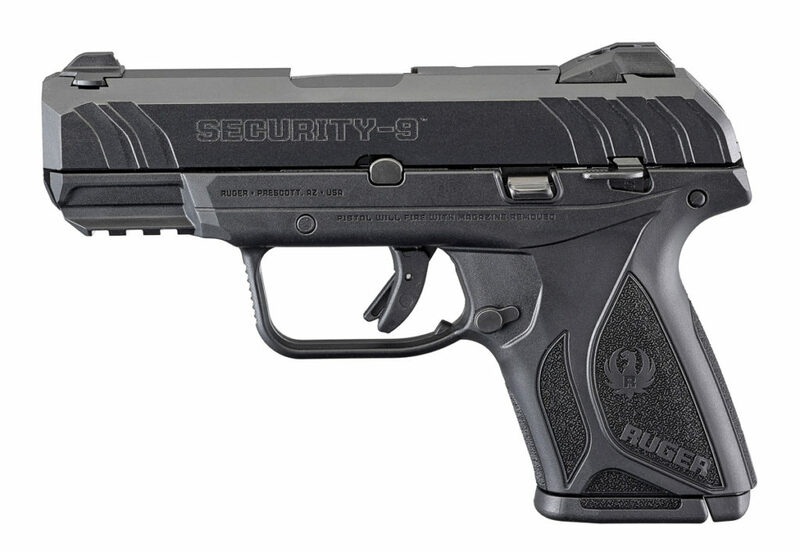 the NEW SECURITY NINE COMPACT looks a lot like a SR9c slightly modified to look more TACTICAL. imho. perfect for CCW. 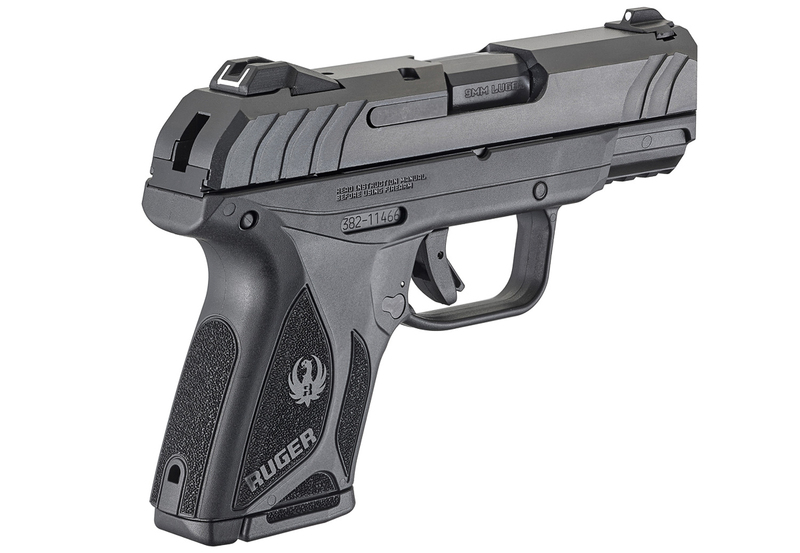 It sure looks like Ruger has copied Sig Sauer’s P365. The Sig does have better sights and a better reputation, but imitation is the sincerest form of flattery. Pleased with my full size Security 9 but I have a suggestion. When the pistol is cocked, you can see the tip of the hammer. If the tip were to have a dot of white on it, that would be one more signal to know whether the weapon is armed or not. Still love my 30+ year old stainless, 6 in Security 6 best! The relevant size comparison is to the Sig P365… not it’s big brother, imho. The 365 is crazy popular because it is small and holds 10 or 12+1. How does this compare in size to the 365? I really like my Security 9. The only fault at the pricepoint is the feel of the manual safety…..too stiff for now but perhaps will be better over time or with right lube, just haven’t found it yet. I’ll buy the compact.